Garnet black color. 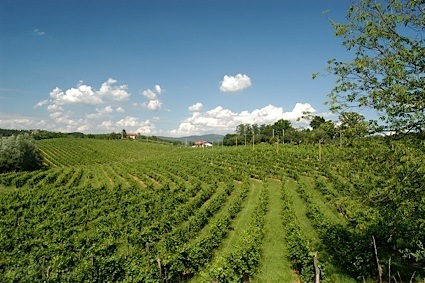 Aromas and flavors of polished furniture, roasted nuts, lingonberry preserves, chocolate dipped raspberry, and prosciutto with a velvety, lively, fruity medium body and an effortless, stimulating, easy finish revealing notes of licorice, wafer cookies, and tobacco with medium tannins and a suggestion of oak flavor. A juicy, attractive red that eagerly leads you to another sip. Bottom Line: A juicy, attractive red that eagerly leads you to another sip. 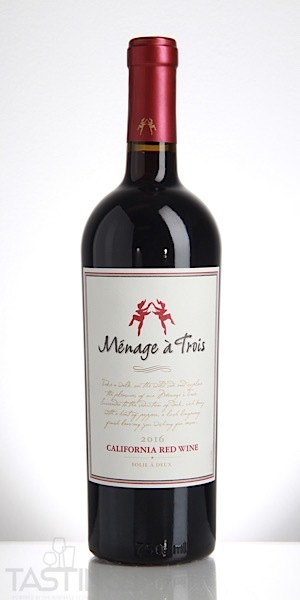 Ménage à Trois 2016 Red Blend, California rating was calculated by tastings.com to be 87 points out of 100 on 8/27/2018. Please note that MSRP may have changed since the date of our review.